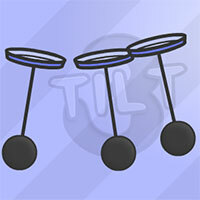 Description: Multitask is back with new mini games to control. 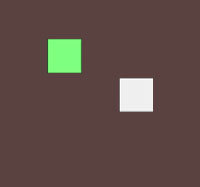 Score 50 in stardard mode to unlock challenge mode. 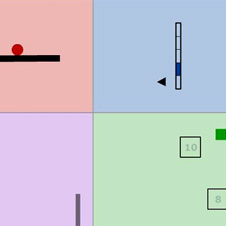 In Multitask 2 Challenge mode you play 3 randomly chosen minigames. As time passes its getting harder and harder. 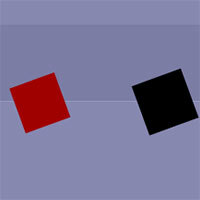 Score 50 in Multitask 2 challenge mode and unlock switch mode where you have to control 6 different minigames. Instructions: Change the keyboard settings in the option menu. To hold the ball in balance use Left and Right arrows. To avoid the arrows use the Up and Down arrows. To hit the blocks use WASD keys. To change direction from the circle use Q and E keys. 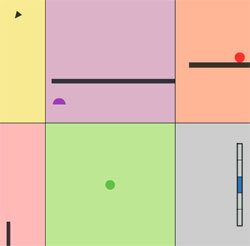 Your home of the Multitask Games control different mini games and use your brain to the max. Multitask game 1 and 2.